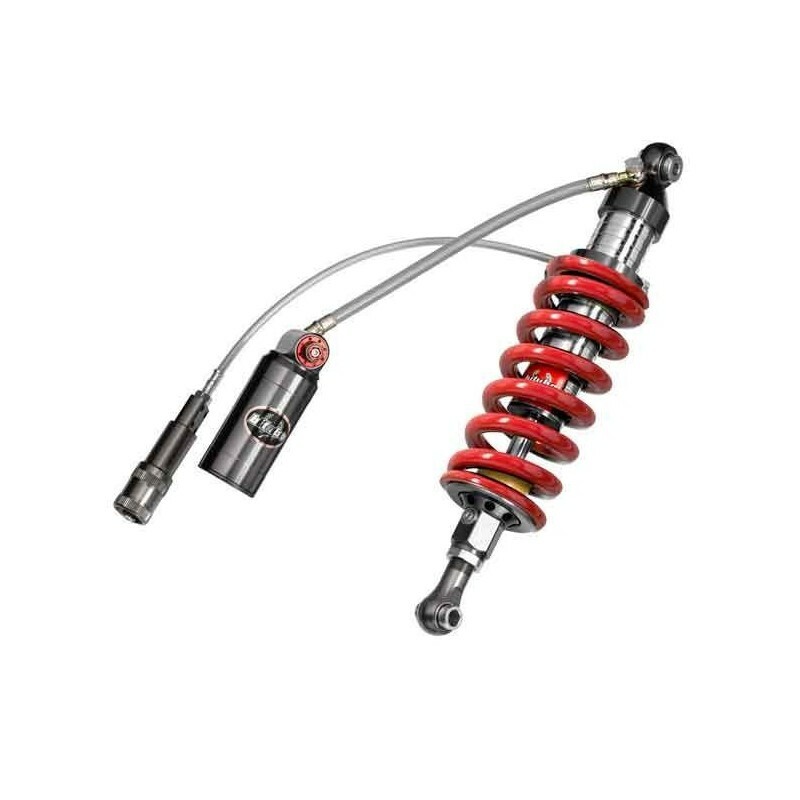 Monoshock with adjustable road preload, dual compression and plate. Dimensions: rod Ø 16mm - Ø 45mm body. Red shock, cylinder separated.